You don’t feel like serious cooking. And you also don’t want the low nutritional value of fast food or frozen entrees. You want something reasonably healthy, but easy as anything. What’s the solution? Pick any of these omelette ideas and make them tonight! Low cooking time, low prep time, and no matter what you put in it, at least the calories aren’t empty. You can do almost anything with omelettes. Don’t like eggs? Then this is one of the very best way to eat them, because it’s so easy to overwhelm the flavor and texture of eggs with other ingredients, giving yourself all that nutrition without the parts you don’t like. If you need some tips on how to cook omelettes, check out these top 10 different ways to prepare an omelette. 1. Mushroom and Goat’s Cheese Omelet with Spinach and Avocado. I don’t know about you, but this is a bunch of my favorite foods all in one dish together. 2. Baked Western Omelet. No flipping required for this one. It’s almost like an omelette casserole. 3. Mexican Omelette. Black beans, corn, Serrano peppers and cheese all come together in this delicious omelette recipe. And it’s also filling. 4. Spinach and Bacon Omelette. A rich, filling omelette with spinach, bacon, cheddar cheese, tomatoes and more. 5. Oven Baked Denver Omelet. You can’t go wrong with the Denver omelette, and this baked version makes it easy to make enough to feed the whole family. 6. Basil and Parsley Omelette Recipe. This is one omelette idea that keeps it simple, with just herbs, mozzarella cheese and seasonings. 7. Pesto + Roasted Tomato Omelet. So simple, and so delicious. 8. Simple Greek Quinoa Dinner Omelets with Feta and Tzatziki. Lots of protein in this one. 9. Kale Omelette. With tomatoes, garlic and cheese. 10. Corned Beef and Dubliner Omelette. A tribute to Irish cooking, with corned beef and Dubliner cheese. 11. 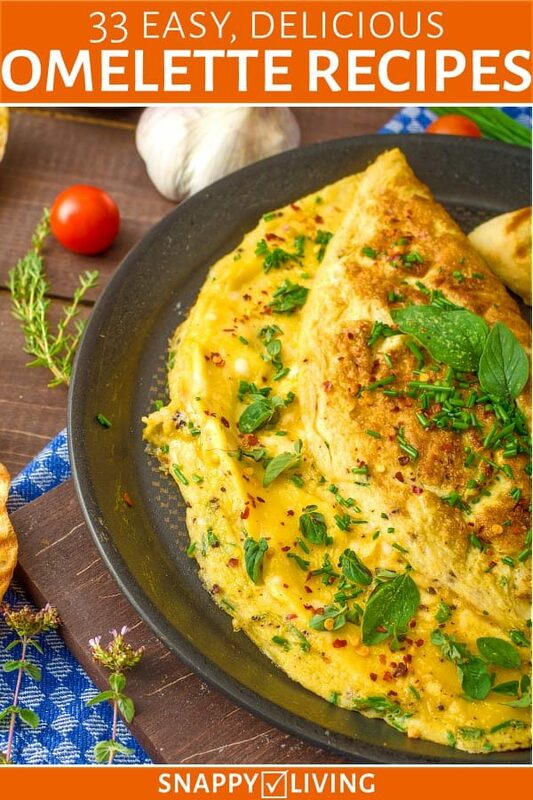 Skinny Greek Omelet. With tomatoes, spinach, feta cheese, herbs and more. 12. Omelette waffles. If you have a waffle iron, this is a super easy way to make omelettes. Or are they waffles? Or are they omelettes? 13. Real Spanish omelette. This simple classic uses new potatoes. 14. Jerry’s Very Good Omelette That Everybody Likes So Much! Pick your own ingredients, and add your them midway through the cooking process. 15. Sandy’s Crazy Herbs. 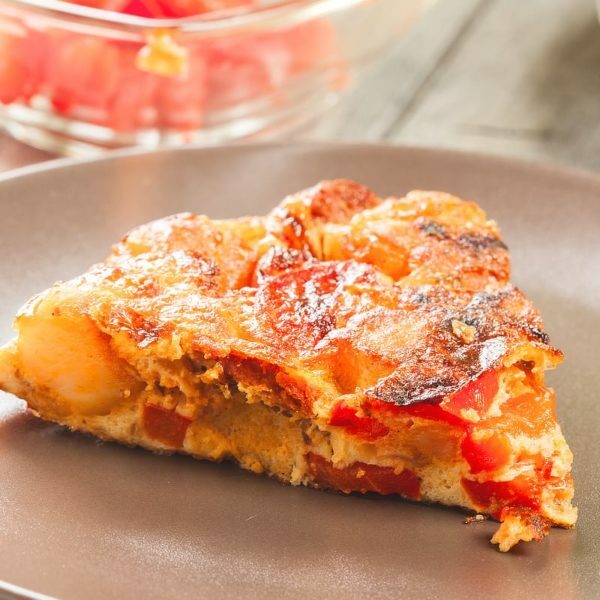 Cheese, tomatoes and a lovely blend of seasonings make this one special. 16. Eggplant and Cheddar. Herbs, tomato sauce and cheddar along with the flavor of eggplant. 17. Farmhouse Omelettes. A hearty meal filled with beef, ham and seasonings. And it’s just as good for dinner as it is for breakfast! 18. Light and Fluffy. 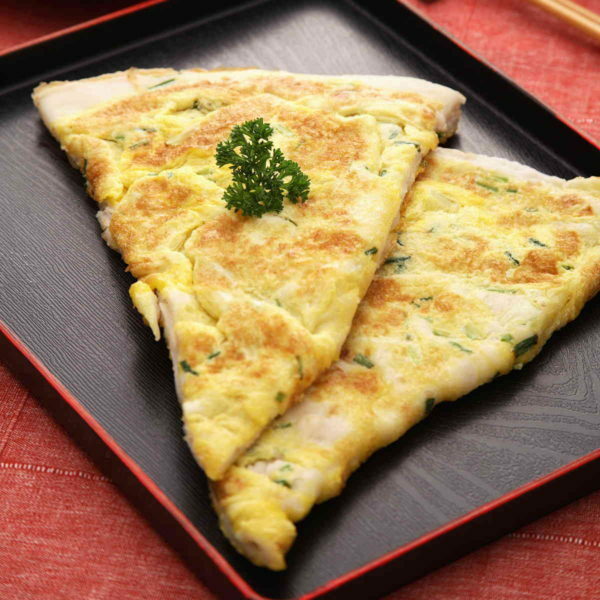 A simple cheesy omelette idea that comes out with a wonderful texture. 19. Aussie Omelette. Shrimps and curry powder add special flavors to the usual mushrooms, peppers and cheese combination. 20. Pizza Omelette. Next time you want pizza, try this recipe instead for a more nutritious twist on an old favorite. 21. Flat Zucchini. Zucchini and some seasonings remind you how good “simple” can taste. 22. Hash Brown Omelette. This recipe packs a wallop to a big appetite with hash browns as one of the filling ingredients. 23. Yummy Veggie. A wonderful cheesy dish with peppers, onions and any other veggies you want to add. 24. Baked Ham And Cheese. Your basic ham and cheese omelette, except baked instead of fried. 25. Herb and Brie. An assortment of herbs and brie cheese make this dish subtly different from all the others. 26. Waist-Watching Western. Uses turkey ham and some egg substitute to cut down on fat and cholesterol. 27. King Crab and Asparagus Omelette with Hollandaise, Chevre and Dill. It’s pretty much all in the name. 28. Mild Curry. South Indian style seasoning make this slightly spicy dish unforgettable. 29. Three-Cheese. It’s really all about the cheese… parmesan, mozzarella and cheddar. 30. Omelette With Oysters. Oysters, spring onions and a great combination of herbs. 31. Spanish Omelette. An authentic recipe for an old classic. 32. South Western Cactus Omelette. Yes, it actually uses cactus. 33. Dungeness Crab. With onions and parsley, because you really don’t need much of anything else when crab’s the main ingredient. I think of all these ideas for omelettes as one-dish meals, but if you want more, add bread or toast for carbs. Put some strips of bacon on the side. Fried potatoes make a great side dish, too. Though it’s not a traditional combination to my knowledge, homemade Cream of Tomato Soup can be a wonderful starter for any egg-based meal. Oooh, good idea. I’ve been trying to get more protien into my breakfast but the shakes on their own aren’t doing much and lpain boiled/fried eggs get pretty boring pretty fast. I also find that eggs keep me full until lunchtime, when nothing else can. Hope you enjoy the recipes!